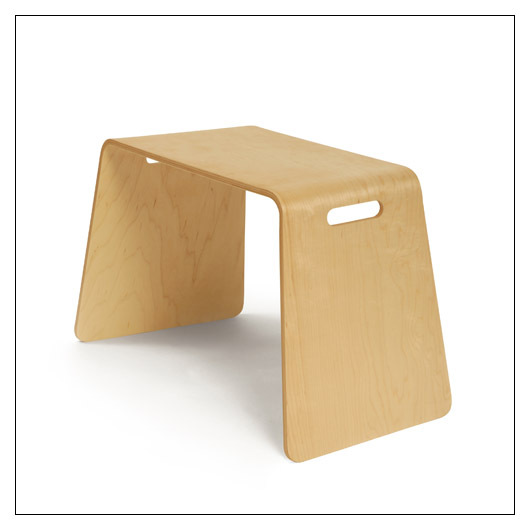 Iglooplay Mod Topper Table or Stool (MODTOPPER) at Pure Design Kids / Tables and Desks / Tables ::: Kids' Toys, Furniture and More at Pure Design Kids! Designed to complement the Mod Rocker, this tray/table can be used on its own or as another seat. When grouped together, the topper and rocker play on material variation, sculptural form, and open space. The design grew from a fascination with the airplane tray: how intriguing it is to be gently moving while having a personal-size table of one's own! Older children can use the Topper as a bedside table. This stackable, multi-use piece can be used for reading, drawing, snacking, or sitting. Plus kids love to curl up in it when it's upside down! w24.5" x d12.75" x h14.75"